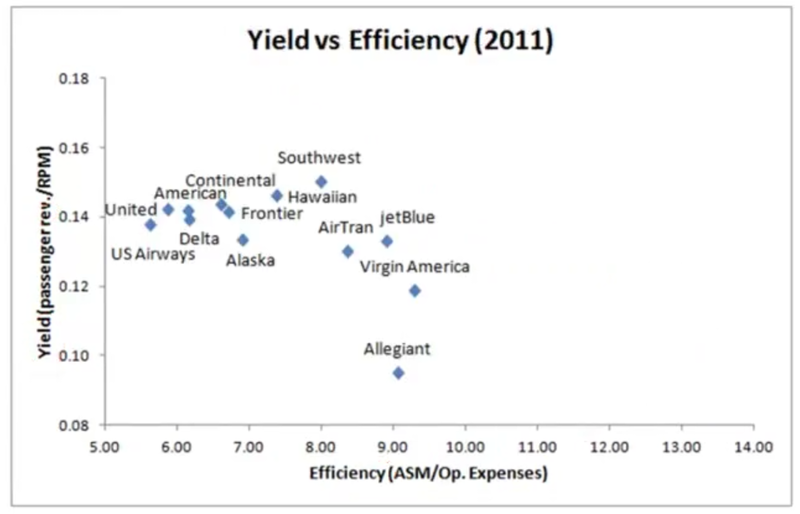 Efficiency is measured by the ratio of travel miles provided (Available Seat Miles ASM) divided by operating expenses. 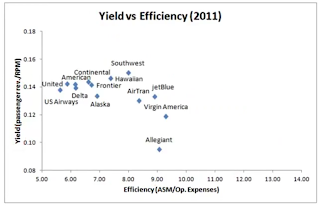 Yield is measured by the ratio of the revenue per mile provided (Revenue Passenger Miles RPM) relative to total revenue. 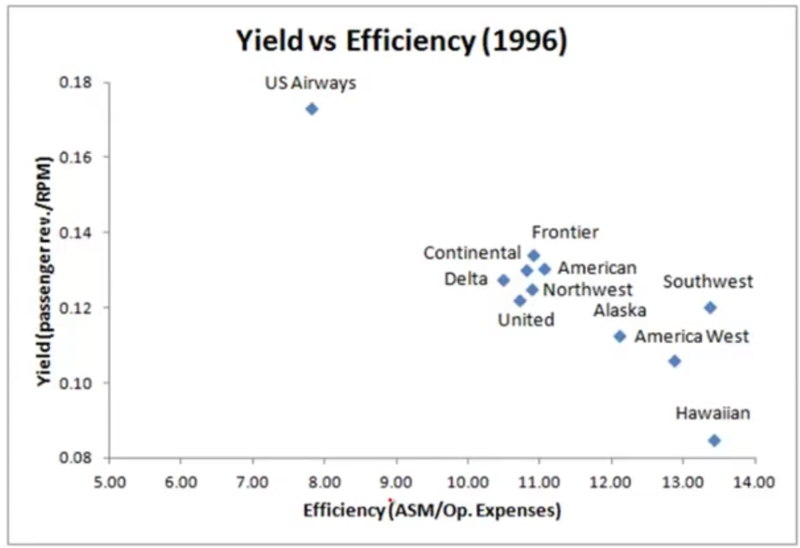 A line captures most airlines except one outlier: Southwest. 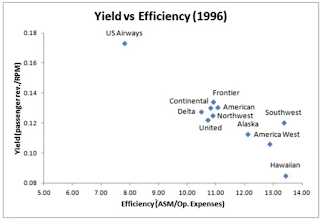 Southwest has been able to achieve a higher level of productivity compared to the legacy carriers and thereby has been able to shift the frontier. You can also notice that Hawaiian has been able to achieve a similar level of productivity, largely because of their small network, but has not been able to command high prices relative to Southwest. You notice that the frontier has changed dramatically. Southwest, that had been known for charging the lowest prices is now charging the highest prices in the industry. Yet they had to sacrifice on the productivity side and have been overtaken on that side by companies like jetBlue and Virgin America.